Gariania Menswear is proud to offer an extensive selection of Made to Measure custom tailored suits, trousers and shirting for men and women from the finest clothing manufacturers in Italy. 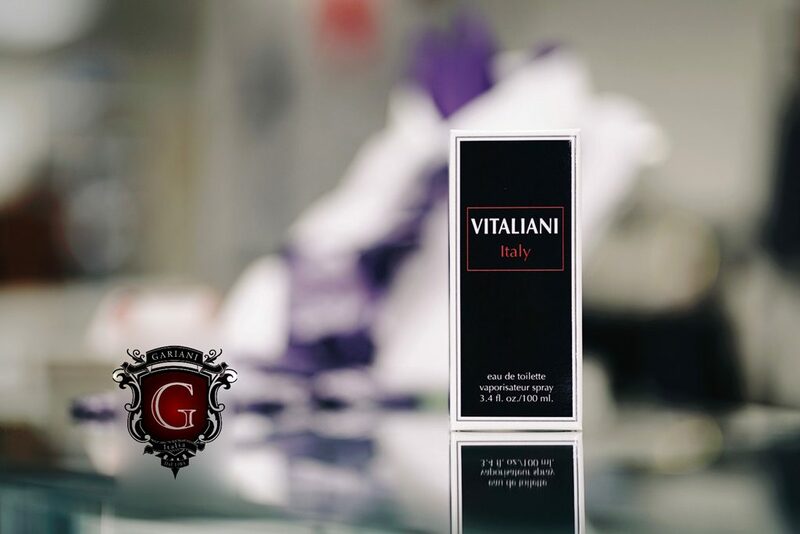 Our specialist, Antony has a tremendous amount of experience with all the custom clothing lines carried at Gariani Menswear. Antony provides our clients with friendly and knowledgable guidance through the process of a Made to Measure garment. A Gariani made to measure garment by Antony is constructed to provide a superior custom fit compared to a ready-to-wear garment. Ladies and gentlemen, please allow Antony from Gariani’s to walk you through the process of a made to measure custom suit, custom trousers and custom made dress shirts for men and women. The first meeting begins with a consultation to determine the expectations of the client and to achieve a true understanding of the clothing desired. Although we welcome walk-ins, setting an appointment will guarantee that each of our clients receives the full individual attention required to better understand their needs. The consultation gives us an opportunity to discuss the best sense of their likes, dislikes and preferences. We gain a more accurate sense of the client’s style and preferred fit. We will also take into consideration the nature of your career, and type of functions you will be using your suit to attend when making suggestions. Through decades of experience, our consultation process has developed into a concise and enjoyable experience. Once we understand the client’s needs, the second step allows the client to select his preferred cloth from our collection of luxurious fabric swatches, with the assistance of our master fitter, Antony. Once fabrics are selected, style and design details are discussed such as linings, trim, buttons, pockets and finishing’s. These are selected to become part of the necessary pattern requirements. Gariani has a large selection of fine fabrics available and brands from which to choose, the garmet designs are limitless. 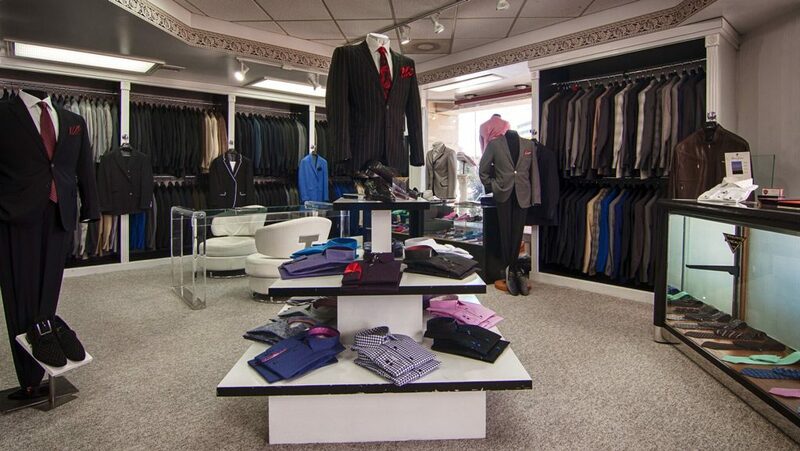 We feature ready-made collections of garments to assist our clients with choosing certain design elements. Antony will ensure that your choices are from the latest design. Following the design process, complete anatomical measurements are taken, to be translated into a unique individual pattern. For this step it is recommended to have the proper shoes with the appropriate heals. We also prefer to measure our clients in a dress pant as opposed to jeans. Every measurement helps us fully understand the needs and physical build of each client which is then translated, by artistic and technical design, into a true work of art. Obtaining accurate measurements and the correct design is why a Made to Measure suit by Antony will fit you like no other. 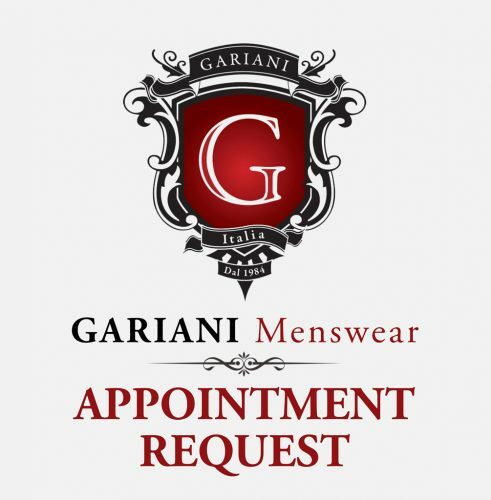 Gariani Menswear has established relationships with our custom tailors and manufacturers. We ensure that specialist tailors address every element and detail necessary to produce an ideal garment for each client. Once an order is processed, a unique pattern is created and every detail is confirmed. The selected fabric is cut to the client’s specifications and a garment is constructed using state of the art technology and the finest tailoring skills. Once the garment has been completed, we will place a courtesy call to the client to set an appointment for a final fitting. A fitting is conducted to determine the accuracy of the construction and any necessary adjustments or modifications are marked for alterations. Most alterations are completed locally, so the turnaround time is, typically, within one week. A follow up appointment is then set for the delivery of the order. After we conclude that all of the alterations were completed successfully and the garment meets all of the client’s expectations, the Made To Measure garments are ready for delivery. We will have everything laid out with a selection of accessories to compliment the look, which gives our client some additional options. At this point most clients are complete and can leave with their new clothing. However, if any additional alterations are necessary, they are satisfied in a timely manner. A Gariani suit is a composition that demands a considerable amount of skill. Our goal is to create a masterpiece that is truly worth the wait. Please contact Antony for a Made to Measure consultation.